A Baxter County woman, 33-year-old Jaclyn Huddleston of Mountain Home, who identified herself to law enforcement as a "traveling nurse" has been arrested on felony drug charges. According to the probable cause affidavit, a Cotter Police Department officer stopped the vehicle Huddleston was driving Jan. 29th on. U.S. Highway 62\412, after he observed a malfunctioning taillight. The officer noted he could faintly smell the odor of marijuana, as Huddleston barely cracked the window when he approached her vehicle. As Huddleston retrieved her driver's license and insurance card, she repeatedly told the officer she was a traveling nurse. 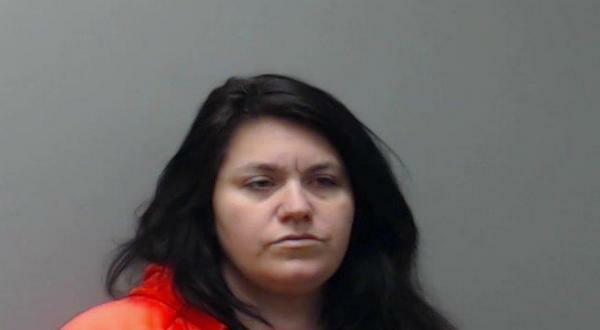 A check with the Arkansas Crime Information Center database indicates Huddleston's driver's license is suspended, and she has an active warrant out of Boone County for failure to appear--eight times in the past two years. A search of Huddleston's vehicle revealed six glass and two wooden methamphetamine pipes, two scales, methamphetamine and marijuana packaged for individual resale, as well as other items of drug paraphernalia. The Mountain Home woman has been charged with felony counts of possession of meth or cocaine with purpose to deliver and possession of drug paraphernalia, as well as three misdemeanor counts. Huddleston's bond was set at $15,000, and she is set to appear in Baxter County Circuit Court Thursday.